« “Forgotten Hollywood”- Countdown to James Bond! 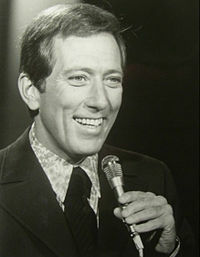 Andy Williams was a classic vocalist of Standards for seven decades. He was also a likeable personality on television, while having a tumultuous personal life. Andy was part of a sibling quartet called The Williams Brothers in the 1940s. They appeared in films, and songs that were part of a movie score. Most notably, they backed Bing Crosby on Swinging on a Star, which won an Oscar for Best Song in 1944. The tune was featured in the Best Picture of the Year, Going My Way. After he went solo in 1953, Andy was compared to Standards luminaries, Perry Como and Frank Sinatra. Though he had a popular singing career, he’s best known for adapting movie music to his songbook. Notable examples include Moon River, Days of Wine and Roses, Love is a Many-Splendored Thing, Charade, Three Coins in a Fountain, Exodus, Born Free, and More (from Mondo Cane). Andy Williams often added Broadway showtunes from Rodgers and Hammerstein to his live performances. He also showed his affection for cinema by crooning his versions of As Time Goes By, A Summer Place, The Second Time Around, Tonight, Maria, Never on Sunday, The Sweetheart Tree (from The Great Race), Where Do I Begin (theme from Love Story), and It Might as Well Be Spring. 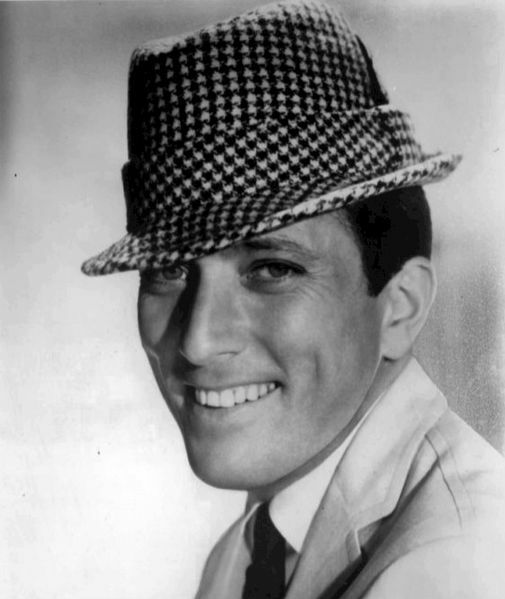 Andy Williams married a former dancer for the Folies Bergère. Claudine Longet was a popular guest on his television show. However, after their public divorce in 1975, Longet was charged with fatally shooting her boyfriend, alpine ski racer Spider Sabich, in Aspen. Andy played a role in the subsequent events, escorting his ex-wife to the courtroom, testifying to her character at the trial, and providing legal assistance. On a lighter note, his 1967 recording of Music to Watch Girls By was recently used by Diet Pepsi in a popular commercial in the United Kingdom. The singer hosted an annual PGA golf tournament in San Diego at Torrey Pines, beginning in 1968. Then known as the Andy Williams Open, the tourney continues as the Farmers Insurance Open, usually played in February. In 1992, he opened the Moon River Theater in Branson, Missouri. On stage, Williams was often joined by Glen Campbell, Ann-Margret, Petula Clark, Pat Boone, The Osmond Family (of course), Phyllis Diller, Robert Goulet, Charo, Rich Little, David Copperfield, Pat Benatar, Shari Lewis, and Broadway on Ice skaters Nancy Kerrigan, Tara Lipinski, and Rudy Galindo. Every November and December, he presented his annual Andy Williams Christmas Show. He wrote his memoirs in 2009, fittingly entitled, Moon River and Me. This entry was posted on Wednesday, September 26th, 2012 at 12:01 am	and is filed under Blog by Manny Pacheco. You can follow any comments to this post through the RSS 2.0 feed. Responses are currently closed, but you can trackback from your own site.